Welcome to Hilltop Elementary School’s Full Day Kindergarten! I will be your child’s kindergarten teacher! I am excited to get to know your kiddos this year! I have two children, a seven year old and an eleven year old and know first hand that Kindergarten is a very special time in the lives of students and their parents! I live in Snohomish with my husband (Jason), kids (Marshall and Emmie), dog (Cooper), and bunny (Cookie). You’ll be hearing lots of fun stories about my family this year. I will be working 4 days each week, usually Monday through Thursday. Another teacher will be coming in on Fridays. We are working to find the best person for this job share environment. I have been working with a teaching partner for the past several years and everything has always gone smoothly. Kindergarten is an essential developmental step in your child’s educational experience. Students in our class will be learning social skills, routines, and what it means to be a self-directed learner. 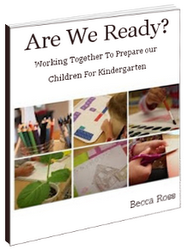 Children come to kindergarten with many different skill levels, abilities, and life experiences. Some children are excited and ready for any new adventure at school, while others are apprehensive about leaving home and coming to a new environment. We encourage you talk about school and the exciting times students will have as the new school year approaches. The Children’s Librarian at the Lynnwood Library can suggest several terrific books on starting school. There is also a terrific display of back to school books at the Lynnwood Barnes and Noble. Upcoming school events you should be aware of include: *Kindergarten Parent Orientation and Meet the Kindergarten Teachers On August 29th , at 6:30, in our school gym. We invite you to bring your kindergartener. We will introduce you to the kindergarten teaching team, our Hilltop PTSA, and show a video about kindergarten and our curriculum. There will also be a tour of your child’s classroom. Please meet us in the gym. You are welcome to bring school supplies on this day as well! It really helps us to have these in advance, so our classroom is clean and orderly on the first day. Please be sure to sharpen all pencils before bringing them to school. *All students will meet in the gym on the first day of school, September 5th. Parents are welcome to come on the first day. We will meet in the gym, as a whole school. Then, please say “good-bye” and wish your student well on an exciting first day of school! A quick and speedy farewell will help your child transition to our classroom more easily. Chances are you are more anxious about the first day of school than your child is! If you have any questions or concerns or if you would like to volunteer to help out you can contact me via e-mail @ Rossb@edmonds.wednet.edu. We do most of our communication through email, so we will be gathering all parents’ email addresses at the kindergarten orientation meeting. We have a school blog, where you can find out more about our classroom. I also write a literacy blog for families. You can find these blogs and many other resources at www.homeiswheremystorybegins.com. Or go directly to the blog you are interested in. http://hilltopkindergartenkids.blogspot.com/ http://lovelaughterandliteracy.blogspot.com/ Once again, welcome to Room 18, at Hilltop. Let’s work together to make this a great year! Click on the book cover to download.